The BRICS have argued for diffusion of power concentration at the global level, and at the same time strongly advocated for reform of international bodies. On September 25, 2012, the BRICS foreign ministers met on the sidelines of the United Nations General Assembly. Among issues of deliberations, one that prominently came into focus was the issue of reform of the United Nations in general, and the expansion of the United Nations Security Council in particular. Russian Foreign Minister reiterated his country’s position in supporting India’s candidature for permanent membership of the Council. During the UN sessions, another multilateral forum comprising India, Brazil, Germany and Japan (G4) also harped on the expansion of the UN Security Council towards making the body truly representative of the united nations of the world. It is not new that the call for a reformed international body, the UN, has been made. On various past occasions multilateral forums like the BRICS (Brazil, Russia, India, China and South Africa) emphasised on a just and fair international order. The multilateral body has reiterated that unless various global players coordinate their acts and work towards a multi-polar world, the world will likely witness further chaos and instability. In this background, it is important to analyse the efficacy of the United Nations in shepherding international politics towards realisation of its lofty objectives, adopted some sixty five years ago. The United Nations Charter drew heavily on normative aspects of international politics and proclaimed that all nations are equal and enjoy dignity. The ground reality has proved otherwise. The UN is currently seen more as a talking opera, or a sloganeering house where members express their extreme positions as if they only stand of the pedestal of truth, or a kind of duelling field where rivals quarrel with each other. More so, the decision making power has been confined to the veto wielding members. While the membership of the United Nations is as wide as to include all the nations of the world, barring one or two, the actually decision making is confined to very few. This depicts the fundamental discrepancy between the lofty ideals espoused by the august body and its actual working. As the noted Indian philosopher, Sri Aurobindo pointed out in his criticism of the League of Nations (kind of predecessor to the UN) in his pioneering work the The Ideal Human Unity, unless there is genuine equality and fairness in decision making, the international bodies will falter howsoever inclusive its membership may be. The same criticism equally applies to the functioning of the UN. It is also important to bear in mind that the world has changed significantly since the foundation of the UN in 1945. The main motive behind its foundation in the post-second world war period was to prevent another catastrophic war and maintain stability in the world. The world then was not free from colonialism, concentration of economic power in the north, and the huge asymmetry between the developed and developing nations. Since its foundation till the end of the cold war, the body witnessed vicious politicking among the rival powers and use of its platform for partisan objectives. The situation is different now. First, the Cold War has ended. Second, the UN has widened its role not only as a war-preventing mechanism, but has assumed big roles in the areas of human development, environment, women empowerment, etc. Second, equally importantly, the asymmetry in global power distribution has shrunk. The rise of the BRICS is certainly a case in this context. The BRICS have argued for diffusion of power concentration at the global level, and at the same time strongly advocated for reform of international bodies like the World Bank, International Monetary Fund and the United Nations and its Security Council. It has argued not only for political decentralisation of power but also economic decentralisation of power in global governance. BRICS members like India and China have made rapid strides in development, and represented the increasing voices from the global south. Hence the increasing debate about global governance appears salient in the context of the BRICS and other multilateral bodies. In academic discourse, the concept of global governance has recently gained ascendancy. It is positive in the sense that it points out the increasing realisation on part of the global players the unmanageable nature of global problems whether it is climate change, or religious fundamentalism and extremism, or cultural intolerance, or financial crises. These problems surpass the apparatus of any particular nation, howsoever powerful it may be. Unless there is coordination among members of the United Nations: the problems will emerge daunting with every passing day. Mere proclamation of a fair global order will not work. It needs two fundamental alternations in the global decision making process. First, accommodating the rising powers their due share in the process. Second, corollary to the first, there must be recognition that the problems are not national or regional, rather they transcend borders of nation states. Take the case of Afghanistan. Since the 19th century when the British attempted to the subdue the Afghan power till today, the Afghan problem is a kind a Gordian knot which will not succumb to mechanism of a particular nation, howsoever powerful it may be. One must acknowledge that it is a global problem, hence it needs global efforts. Similar is the case of climate change. And so is the case of religious fundamentalism and extremism, or even maritime piracy. These global issues call for broad basing of international decision making process, and accommodating rising powers from the South. 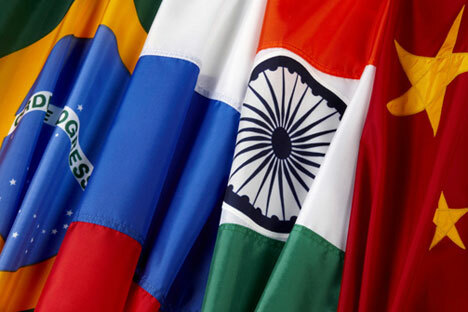 BRICS can play a positive role in contributing to the fairness of the global order. India’s Foreign Secretary Ranjan Mathai while declaring the Russian support at the sidelines of the UN expressed India’s policy to “proactively engage with members in the intergovernmental negotiations on Security Council reform and to strive for an early expansion of the Council in both permanent and non-permanent categories of its membership.” The grouping G4 also followed the same line while arguing for the need “to unanimously inject greater political momentum and work together to give an impetus to the reform process” in the United Nations. One can hope that the recalcitrance of some powers to this reform process will go away soon. This is in fact the emerging imperative of the global governance in the 21st century.